SOMEWHERE ELSE is directed by Joe Shugart from an original screenplay by Adam P. Cray who also performs in the short thriller. Rachel Kathryn Frittz brings heartfelt performance as “The Passenger”. SOMEWHERE ELSE features an original score by Brandon Moore. Brandon has previously collaborated with Adam P. Cray on his short thriller SAFE DISTANCE as well as the upcoming FROM THE WINDOW. SOMEWHERE ELSE also features the digital effects artistry of Adam Lima, who has worked on visual effects for such titles as THE BOURNE LEGACY and BRIDESMAIDS. The new year is already busy in terms of new film projects in production with one feature film score completed and more coming up later in the year. First up is the feature film THE YEAR I DID NOTHING for director Ana Barredo. The film takes place in 1985 Manila and follows young siblings who creatively kill time together waiting for their US immigration to slowly process and their homeland readies to revolt against its most famous dictator, Ferdinand Marcos. Frequent collaborator Roger Lay Jr. also has a few projects in production, one of which is a short film titled ALMA’S POND. 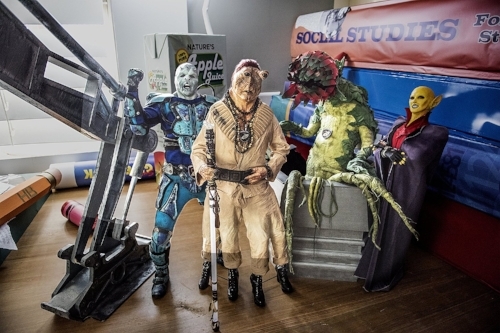 The short is based on a tale written by acclaimed children’s author Bruce Coville and stars some familiar faces from Brandon and Roger’s previous collaboration ALIENS ATE MY HOMEWORK. A track from Earbud Theater’s episode The Current has made the final cut for 2018 Audio Verse Awards! The final round of voting is open and free to the public. Click here to vote by Saturday, December 1st at 11:59 PM Pacific Time. 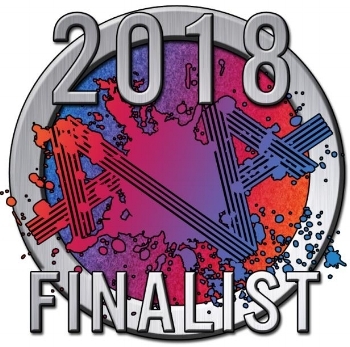 Brandon Moore’s music for Earbud Theater’s episode The Current has been nominated for the 2018 Audio Verse Awards. Voting your favorite to the finalist round is open and free to the public. Click here to vote by November 10th. Now you can stream numerous tracks from Brandon’s various horror scores (and sub-genres of horror-comedy, aquatic-horror, slasher, macabre, gothic, science fiction fantasy) on SoundCloud. Enjoy! The Audio Verse Awards, dedicated to celebrating the best in free audio drama, have announced their 2018 short list of nominations. Brandon Moore’s music for Earbud Theater’s episode The Current has multiple nominations. The Nomination Period closes Sunday, September 30th at 11:59 PM Pacific Time. Voting in all categories is open and free to the public. Click here to vote! Attention podcasters and horror fans! 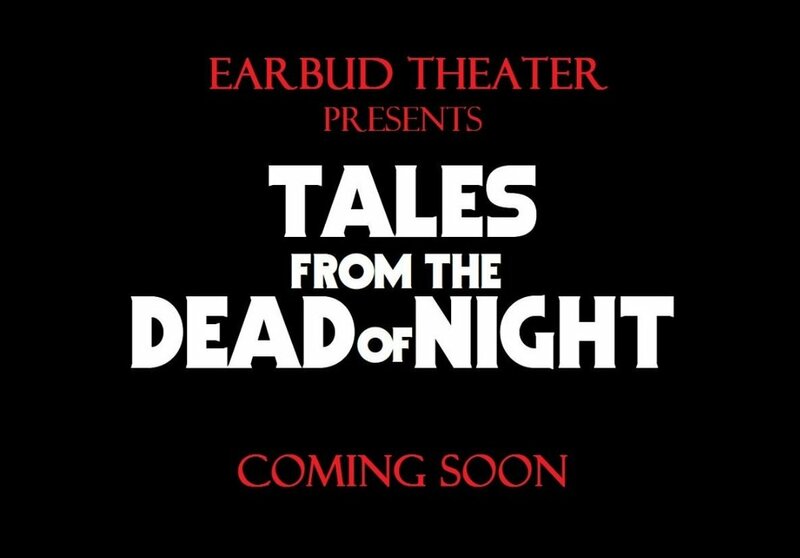 The Earbud Theater Podcast presents their first ever horror anthology, TALES FROM THE DEAD OF NIGHT, dropping Tuesday October 16, 2018. The mega-sized episode features 3 terrifying audio dramas. Brandon composed new theme music bookending the series. A new episode of Earbud Theater is coming this month. 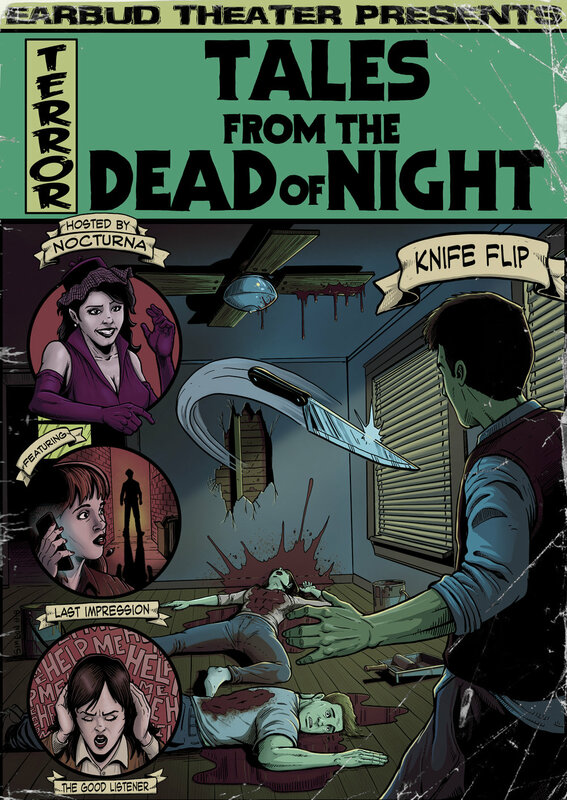 TALES FROM THE DEAD OF NIGHT, written and directed by The Current’s Jared Rivet, will feature new music written by Brandon Moore. Streaming is free on iTunes and at the Earbud Theater website. ALIENS ATE MY HOMEWORK gets a blu-ray release from Universal Studios. Out September 4th! Featuring the voice talent of William Shatner. Directed by Sean McNamara. Written by Garfield & Judith Reeves-Stevens. Music composed by Brandon Moore. 90 min. Rated PG. Brandon's entire musical score for The Current is available to stream on the Soundtracks page. The podcast is still available on iTunes for free, and be sure to subscribe to Earbud Theater. 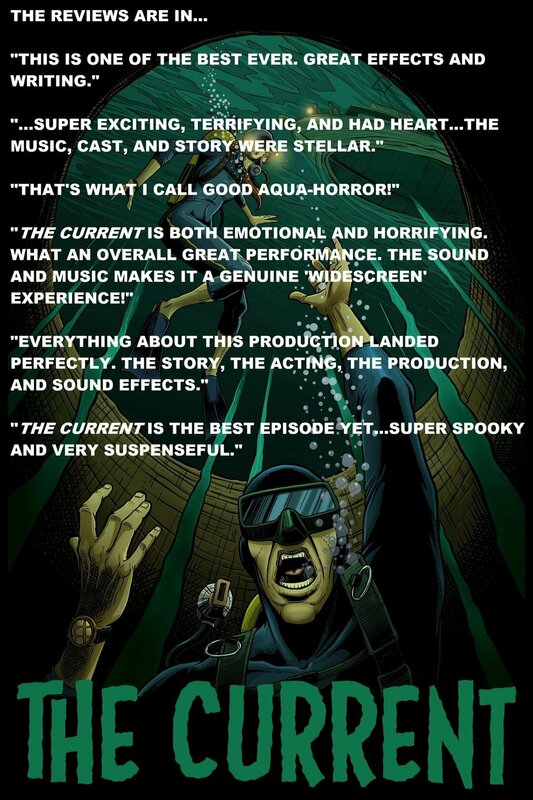 Brandon recently scored the upcoming episode of the Earbud Theater podcast...THE CURRENT. Audio tracks will be posted soon. The ALIENS ATE MY HOMEWORK soundtrack is available to download through iTunes, Amazon, GooglePlay or wherever you get your music content. Here is a clip from the cue "Indoor Air Battle"
The best-selling book series by Bruce Coville is now a movie from Universal. Stream on Netflix, Vudu or get it On-Demand. Check out the DVD for special features including interviews with the actors and filmmakers and behind the scenes featurettes. The movie contains over 80 minutes of music. Brandon explains, "I wanted to do something orchestral and exciting for this score...The themes are connected a lot harmonically, so they’re really able to weave in and out of each other." Announcing the release of Brandon Moore's score for ALIENS ATE MY HOMEWORK. The digital soundtrack is now available through Back Lot Music and for download on iTunes and Amazon. The online magazine dedicated only to the music of film and soundtracks, Film Score Monthly Online, interviewed Brandon for its February 2018 issue. He chatted with Kristen Romanelli for the article titled, Aliens Ate His Film Score, where they discussed the musical influences and crafting behind Brandon's latest score for ALIENS ATE MY HOMEWORK. The official soundtrack release date is March 2, 2018 from Back Lot Music. The movie is available on DVD and digital March 6. ALIENS ATE MY HOMEWORK is now available for pre-order from Universal Studios Home Entertainment! Check out the Amazon.com link to order. The DVD features special behind the scenes footage and interviews with actors Jayden Grieg and William Shatner as well as director Sean McNamara (Soul Surfer). A digital copy will also be included. Sci-Fi acting legend William Shatner introduces Comicbook.com's exclusive first look of ALIENS ATE MY HOMEWORK from Universal Picture Home Entertainment. ALIENS ATE MY HOMEWORK is the film adaptation of book 1 in the beloved Rod Allbright and the Galactic Patrol book series by Bruce Coville. The one and only William Shatner lends his voice talents to an alien named Phillogenous Esk Piemondum, aka Phil. The galactic patrol lands MARCH 6, 2018 on DVD and digital streaming! BLACK AND WHITE NIGHTS is a new web series with a supernatural film noir tinge. Brandon has begun writing music for the episode Something Else which is written by Adam P. Cray. This will mark the second collaboration between Brandon and Adam (director of SAFE DISTANCE, the short film) with a tentative release date in January.